Do you like to host parties? Are you always looking for a new trick, product or recipe to impress your friends? I have a great idea for you. How about serving your drinks with large ice balls in them! 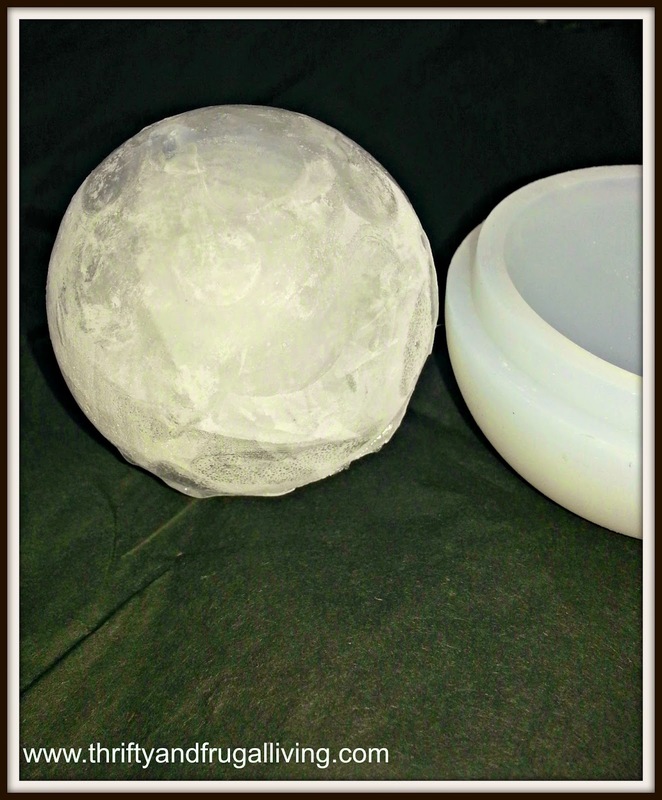 It is simple to make a cool (pardon the pun) ball of ice if you have the right mold. 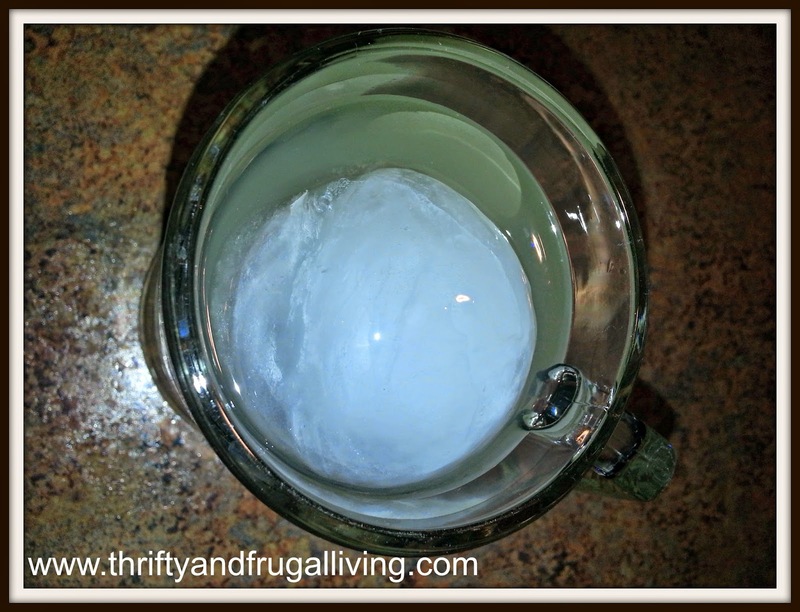 Let me introduce you to my new favorite hostess trick: StyloPhora Ice Ball Molds. StyloPhora comes in a set of three molds with a handy little collapsible funnel. Honestly, the funnel is not even necessary. It is a nice bonus to have and will come in handy for other things in the kitchen. It is really easy to make the ice balls. You basically fill the balls up to the fill line (indicated by black dotted lines on the outside of the balls), freeze for 4-6 hours and remove your ice balls. I did learn a few tricks along the way in using these molds, but first let me show you how awesome looking these balls are. Isn't it pretty? These ice balls are sure to get your guests attention. As you can see, this one looks like it has a big crack in it. Trust me, it is a solid ball. Some of mine looked cracked and some didn't. 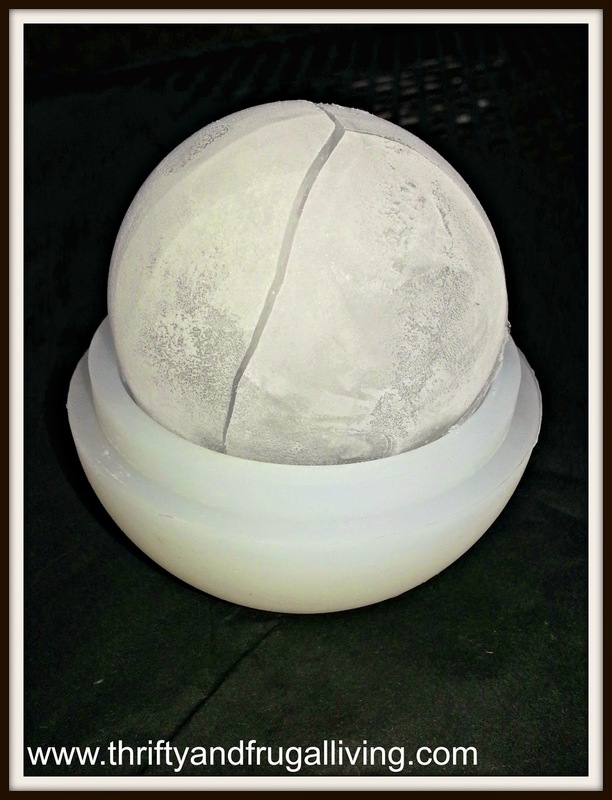 If you purchase these StyloPhora Ice Ball Molds you will also be given a code to watch a video and learn how to make crystal clear ice balls. I watched the video, but I haven't tried out the trick yet. I kind of like the frosty and cracked look that they have the normal way. The first set of ice balls I made were completely experimental and mostly a waste. I *ahem* failed to follow the instructions and just filled them up all the way to the top without even noticing the fill line. Water expands when it freezes. My molds were overfilled and I had ice tentacles coming out the top. Opps. I also tried to remove the ice balls by twisting the mold apart. They will break EVERY time if you do it like that. So here are my tricks to perfect Ice Balls (I am the expert after making a trio four times now). 1- Don't overfill! I fill slightly under the fill line and they come out great. 2- Leave the ice ball molds sitting out of the fridge for about 5 minutes before removing the ice balls. This will make them come out a lot easier than if you try to remove them right away. 3- Do not twist the molds apart! Gently remove the top first and then you should be able to remove or even pop up the ball from the bottom of the mold. If you do step 2, you will have no issue removing the balls. I live in Florida where it is HOT and ice melts quickly. These ice balls are supposed to melt slower and dilute your drink less. 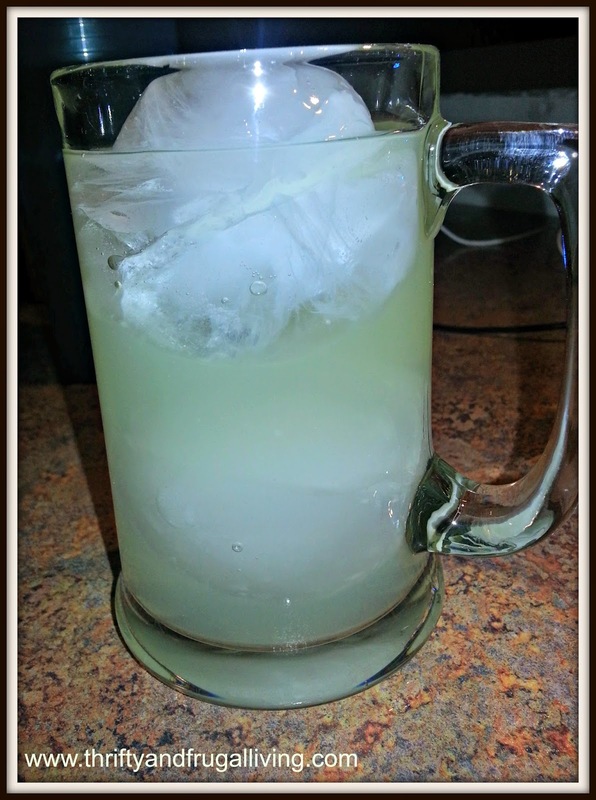 Unfortunately, my ice balls still melted quickly on me when I used one per cup/glass. I really think you need two per glass unless you are drinking something in a smaller glass like whiskey. When I used two ice balls, they did last a lot longer than regular ice. Don't let your hostess awesomeness stop at frozen ice balls. Why not make flavored frozen ice balls to add to mixed drinks? Cherry koolaid ice balls added to lemonade with vodka sound fantastic. The possibilities really are endless. contains tea vodka, lemonade and two ice balls! What are you waiting for? You know you want need some ice balls! 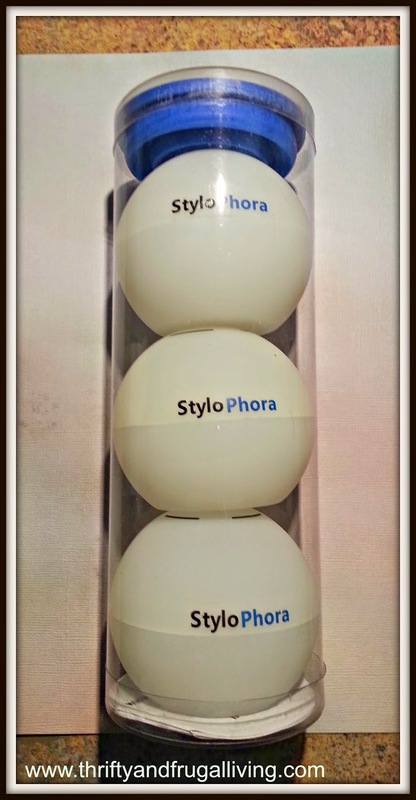 Visit StyloPhora to learn more and purchase a set or three. These are fun. Thank you for your review. Such a great idea! I hate when the ice melts and waters down drinks. This would melt slowly and prevent that. always wanted to try these! This would be good just to have on a regular basis not just for a party. You can use less ice with this. These look like they would be fun to have. We have an ice maker, but this would be great for drinks and I think our little Shih Tzu Sparkie would have a lot of fun with an ice ball since he likes eating ice anyway. These look like so much fun! Thanks for the great review. I spend a good chunk of the year in puerto rico though i am living in nj and it is hot there. this ice ball would definitely help me not worry about the coolness of my drink on a hot day! This look like a fun conversation piece, and functional too. I wonder if you can make half balls and in the winter put them out on a deck with candles in them. I saw that once, probably somewhere on the net. Thanks for the review. Interesting! Just by looking at the pictures, I had no idea what it was at first! I have seen these before but forgot about them! These are cute and something fun! I would use these for kool aid or coffee. I bought a set on Amazon and didn't get the code for the clear ice ball page. Wrote the company but no joy. Created my own page with experiments.